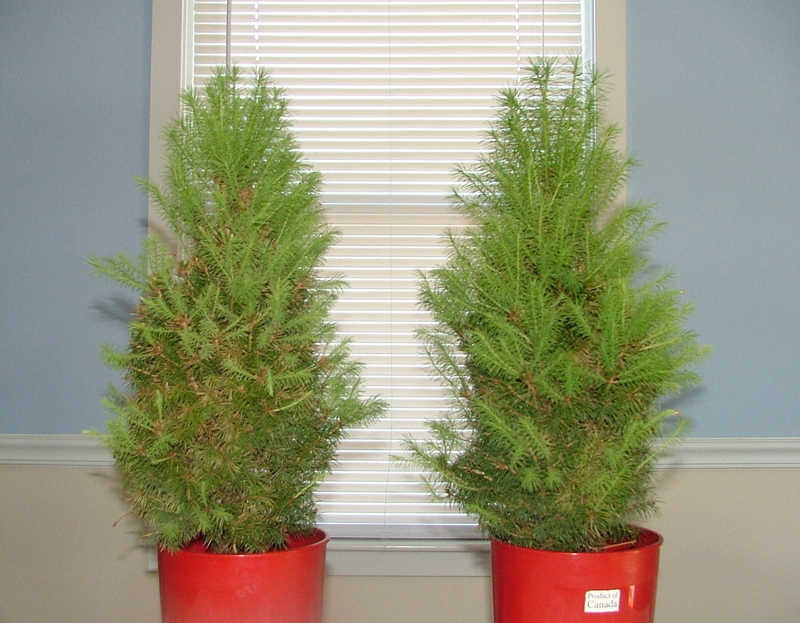 Early this spring, we purchased 2 identical dwarf Alberta spruce trees. We connected the tree on the right to the Earth using an Earth & Grow prototype and tracked their growth for 6 weeks. The grounded spruce produced growth that was more vibrant, symmetrical and developed than the control spruce that was not connected to the Earth. 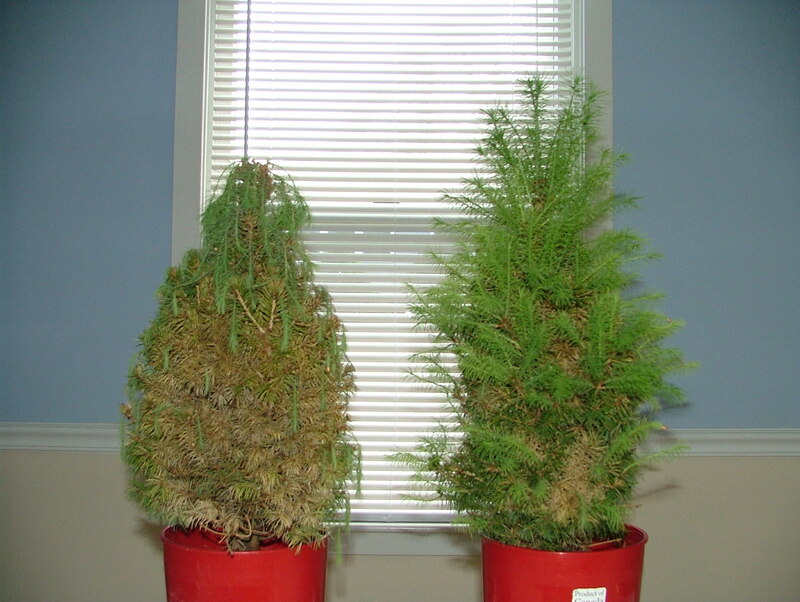 The real magic occurred when we decided to disconnect the spruce tree and stopped watering both plants to see which would stand up best to drought. 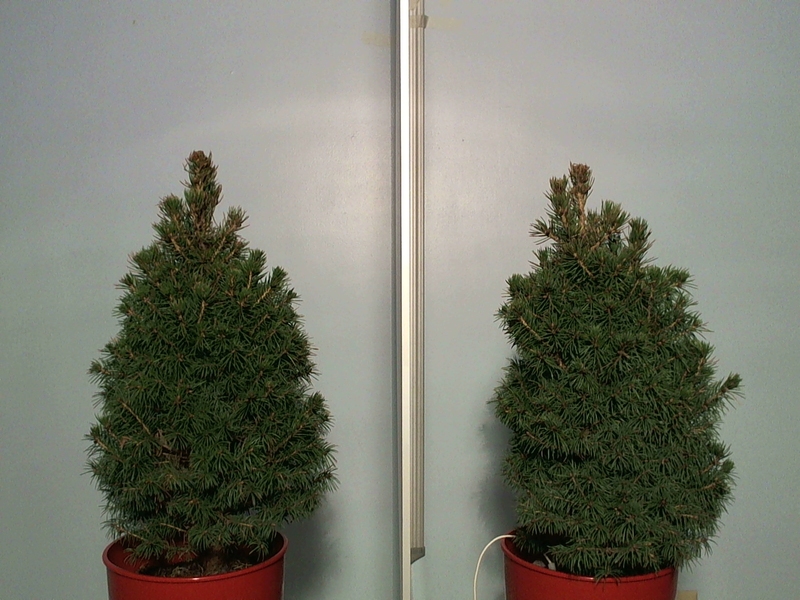 The grounded spruce lived for 2 weeks longer and lost a fraction of the needles compared to the control. Check out the photos below! 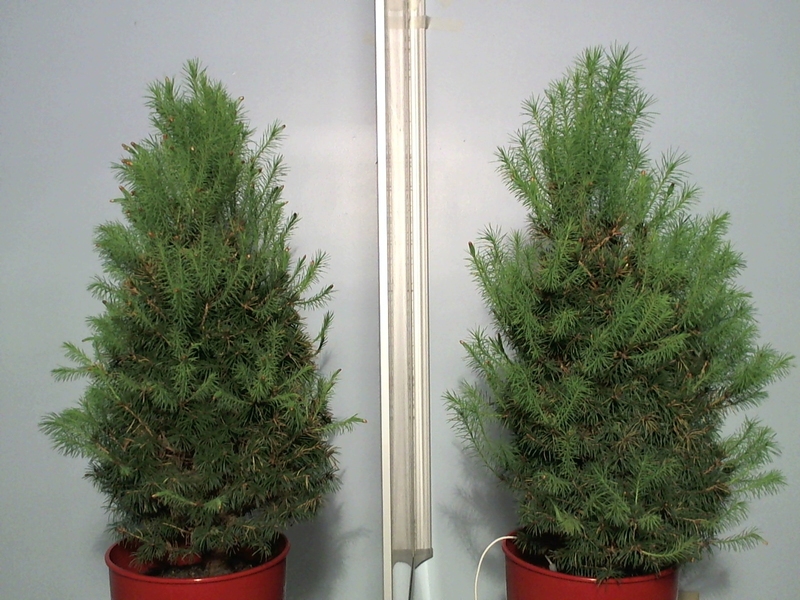 This experiment again shows the residual benefits of treating certain species with the Earth's electrical energy.